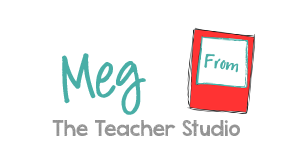 One teaching "tip" I have that I love to share is how essential formative assessment is to effective teaching. Research states clearly that knowing WHAT your students know and teaching to address these needs has a HUGE impact on student learning. Pair this up with quality feedback and you are golden! 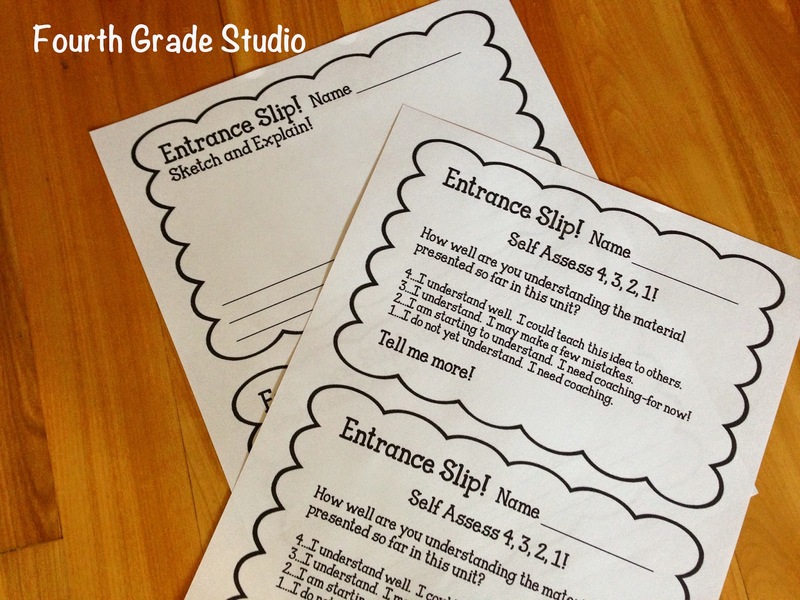 Many people use exit slips at the end of class to see what students have learned. I do this as well--but not as often as I use ENTRANCE slips! Entrance slips you ask? Absolutely! Consider the number of students you have had in your life who got 100% on every spelling test but spell the same words incorrectly at every other time. The same can be true with exit slips. LOTS of students can do well with a topic immediately after being taught. For me, it is more valuable to see who can still do it the next day or the day after that! That's why I started using quick learning checks the next day--I wanted to see where my class stood before I started to teach. What I do is hand the students an entrance slip as they come in...they know to just get out a book when they finish. I quickly scan them as I collect them and sort them into piles--usually the "Totally Get It", the "Not Quite Sure" and the "Yikes" piles. This helps me know exactly who I need to meet with when we have math workshop time. How do I keep track of it? I use this sheet...I've whited out names on these from my "grade book" from this past year. the need to take the temperature of the class. I keep a bunch of easy to use slips that work for any subject copied and ready to use. Before I get started with instruction, I often give students one of these, collect them as they finish, and give them a quick glance. I might sort them into piles. I might highlight things I notice or things I want to address with the class. I love that I always have a good sense for where my students are and what I need to do as a teacher to better reach them. I sometimes change my plan right on the spot based on what I see! I got tired of creating the same slips over and over so I did finally create a resource that has a TON of easy to use options if you--like me--always want something handy and ready to use. The entrance slips I have provided come two per page and are low-ink and ready to copy. Each entrance slip comes with a “suggestion” page where the slip is highlighted with a blue box with ideas for how that slip might be used . . . like this! I have also divided the entrance slips into two categories—those used to measure academic performance AND those used for students to “self-assess”—whether it be their own understanding, their effort, or their participation. I really believe it is essential for students to take an active role in their learning—and that they need to be reflective and take ownership of their “job” in the classroom! I also really want to get students thinking about that self-assessment piece so I’ve included a color and black and white version of an anchor chart I use in my classroom. Use it as is or create an anchor chart of your own! Finally, to help you start “organizing” the information you get from these entrance slips, I created a simple sheet that you saw in the pictures above that you can use to record your findings. If you (like me) are trying to do a better job of tracking student progress, grouping, and reteaching—this might help you out!